I was recently asked to make two desserts for the dessert dash at a fundraising auction. After a quick search online, I came across this recipe on Epicurious. It is from Gourmet magazine, which is one of my favorites for recipes, so I wanted to give it a try. The recipe was originally published in 1990—and to be honest, I bet I made it 20 years ago. This time, however, I adapted the original recipe by substituting gluten-free graham crackers (available at specialty grocery stores). It was so simple. 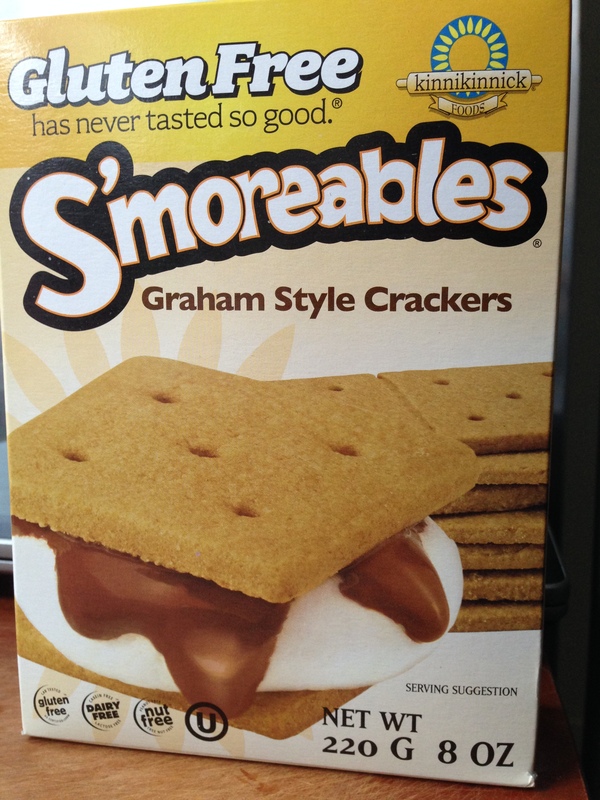 Plus, I was surprised how good the flavor was in the gluten-free graham crackers. At right is box from the brand I used. Whether you opt for the gluten-free or original version, this will make a delicious addition to your holiday feast. Invert bottom of a 9-inch springform pan (to create a flat bottom, which will make it easier to remove cake from pan), then lock on side and butter pan. Stir together crumbs, pecans, sugars, and butter in a bowl until combined well. Press crumb mixture evenly onto bottom and ½ inch up the side of the pan, then chill for about 1 hour. Whisk together pumpkin, eggs, brown sugar, cream, vanilla, and liqueur (if using) in a bowl until combined. Stir together granulated sugar, corn starch, cinnamon, nutmeg, ginger, and salt in a large bowl. Add cream cheese and beat with an electric mixer at high speed until creamy and smooth, about 3 minutes. Reduce speed to medium, then add pumpkin mixture and beat until smooth. Whisk together sour cream, sugar, and liqueur (if using) in a bowl, then spread on top of cheesecake and bake 5 minutes. Cool cheesecake completely in pan on rack, about 3 hours. Chill, covered, until cold, at least 4 hours. Remove side of pan and bring to room temperature before serving. Baked cheesecake can be stored, chilled and covered, for up to two days. This was a huge hit!